A new technology is making its way here in Cagayan de Oro City. It is an innovation that is surely a big factor in the construction field. It’s a first here in the City of Golden Friendship; and we at HomeChoice Planners and Construction Corporation is definitely taking part of this new innovation. HPCC proudly introduces the Plaswall Building Technology. This system offers a quality building product that uses locally manufactured Hardiflex fiber cement sheet. Plaswall Building System started here in the Philippines around 2000 and with its great quality, it has long expanded to other cities here in our country. Other countries abroad such as Abu Dhabi, Australia, India, Qatar, Jordan, Oman and Bahrain also uses this kind of technology in building structures. 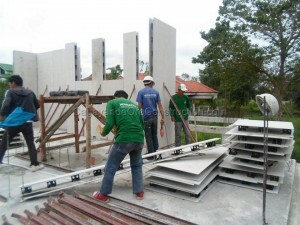 Our company offers this new and faster system in building structures. And we are proud to say that we are the first to use and market this new technology in Cagayan de Oro City. 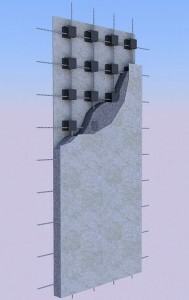 Plaswall is a unique fibrocement that replaces costly steel aluminum and plywood formworks. It produces a complete load bearing wall with a complete rendered finish. And it requires significantly lower skilled labor to build high quality concrete homes and buildings. Also, this kind of system is effective to use in constructing houses, schools, high rise buildings and landscape structures. higher quality buildings producing higher customer satisfaction resulting in higher sales and better loan collection rate. The very first project that has used the Plaswall Building System here in Cagayan de Oro City can be found in one of the high end subdivisions here; and that is in Xavier Estates. The said project was constructed by our company and we couldn’t be more grateful for its outcome. 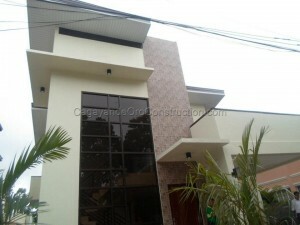 Indeed, the building process is faster and results are of great quality. Plaswall Building System is definitely rocking the construction business. Kudos!